Hoa bought a full carton of strawberries today! They are in season, perfectly ripe and so yummy looking! 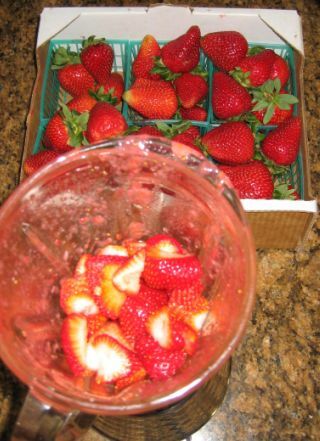 What I am going to do with a whole carton of Strawberries? 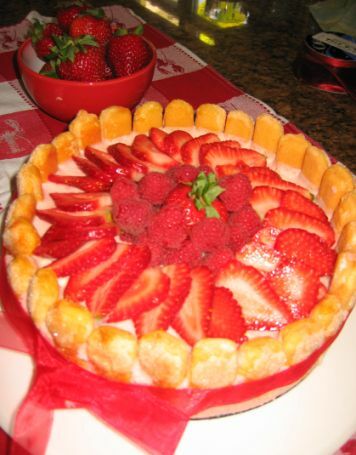 I need to bake something... a Charlotte aux fraises! The recipe called for a lot of strawberries so this is just perfect. 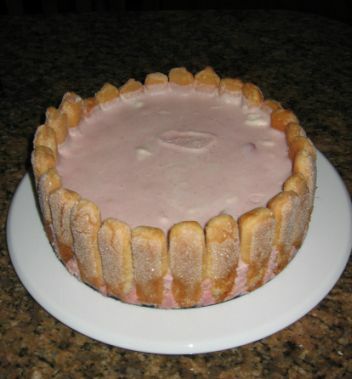 A charlotte is basically a cake lined with lady fingers at the base and then a mouse is poured in the center of the cake. It requires no baking time what so ever but you will need to put the cake in the refrigerator for at least 6 hours for the mousse to set. 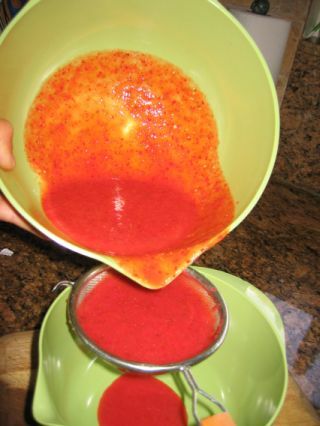 Here I am straining the sauce to remove the seeds. 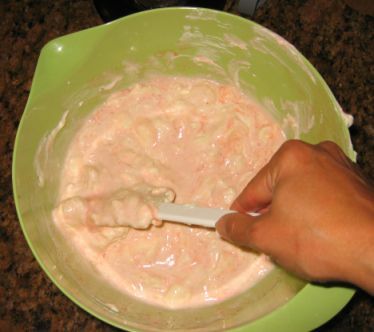 I am now preparing the mouse which is a combination of the strawberries puree, whipped cream and gelatin so the mousse will harden. 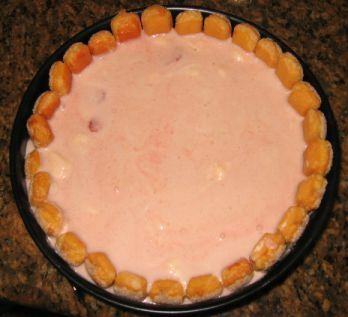 I lined up the lady fingers at the bottom of the pan and on the side then poured the mousse in the middle. This the cake after I refrigerated overnight! 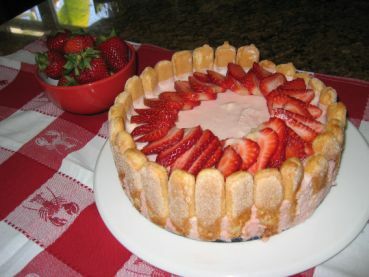 I am now putting on a layer of Strawberries and berries for a final touch... The dessert is almost ready! 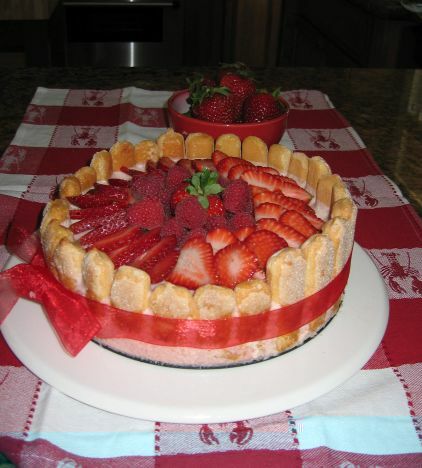 A red ribbon is tied and voila the Charlotte aux fraises. By the way, tonight we are going to the twin's birthday party and I am bringing this cake together with the berries cake.